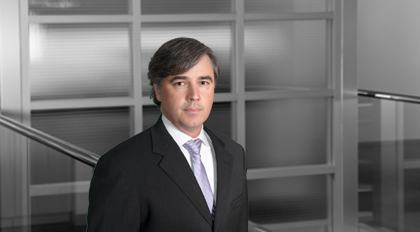 Jim Langdon represents both debtors and creditors in bankruptcy cases, with an emphasis on representing lenders and other financial institutions in connection with the collection and/or restructure of indebtedness both in and outside of bankruptcy. He has significant experience representing parties in connection with the acquisition of assets out of bankruptcy, lenders in connection with postpetition financing and entities in the acquisition and administration of distressed debt investments. In addition, he is experienced in the negotiation and drafting of intercreditor and subordination agreements. Flying J, Inc. (Del. ): Representation of secured lender in chapter 11 bankruptcy case of a large fuel refiner and retailer and its subsidiaries. Interlake Material Handling, Inc. (Del. ): Representation of subordinated secured lender in bankruptcy case of industrial shelving manufacturer and installer. Arch Aluminum & Glass Co. (S.D. Fla.): Representation of agent in a senior secured lending facility with aluminum and glass manufacturer and distributor. AeroThrust Corporation (Del. ): Representation of agent in a senior secured lending facility with a borrower in the aircraft engine leasing, sales and repair industry. Pike Nursery Holding, LLC (N.D. Ga.): Representation of agent in senior secured lending facility with nursery plant companies. Light Manufacturing: Representation of administrative agent for lenders in debt for equity restructuring of approximately $275 million in senior secured financing to borrower in the building products industry. Light Manufacturing: Representative of administrative agent for lenders in restructuring of approximately $700 million in senior secured financing to borrow in the building products industry. Motorsports: Representation of administrative agent in the workout of an $80 million loan to a racing team.